Weather: Very cold but beautiful clear blue skies. Light breeze that occasionally strengthened. 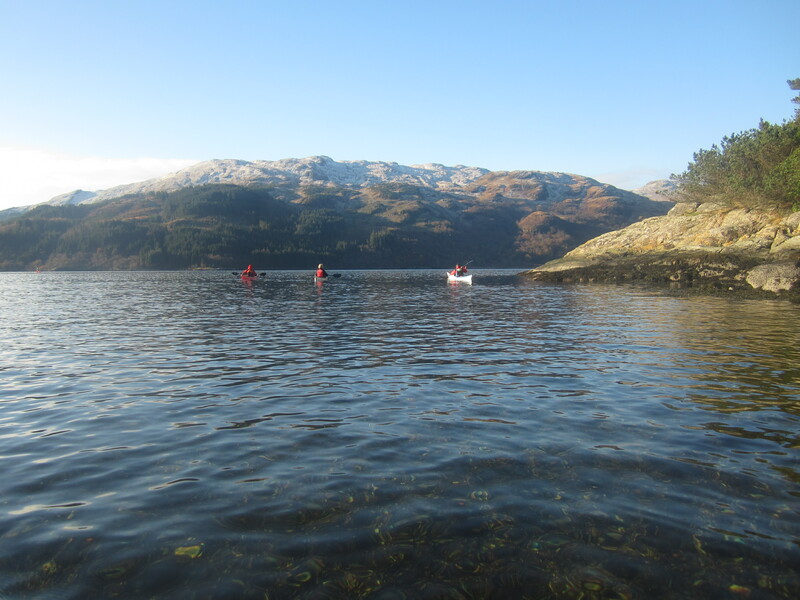 Report: The ice was still on the boats as we launched and paddled south towards the mouth of Loch Goil. There was a light covering of snow on the hills that did not melt, although in the sun it was quite warm. Out of the sun or in the breeze, however it was extremely cold. A Force 4/5 from the north was forecast later in the day and, being late November, we were expecting darkness at around 4pm, so our plan was to turn back at around12.30. 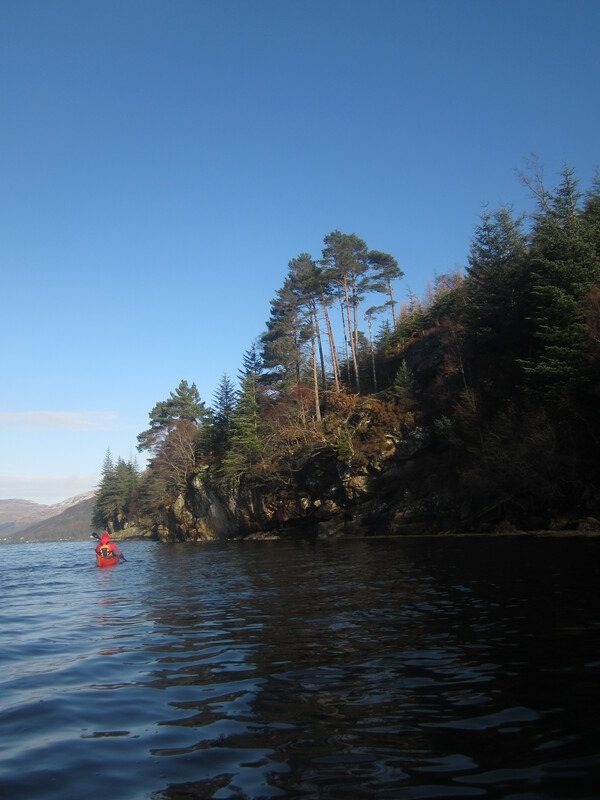 We paddled lazily most of the way down the Loch until we found a lovely lunch stop in the sun. 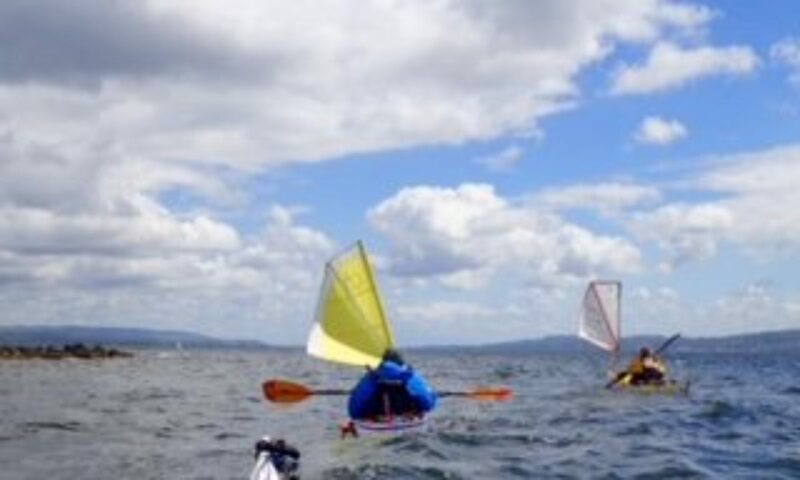 As the afternoon progressed the cloud cover became wider, the breeze slightly stronger and the cold more obvious. 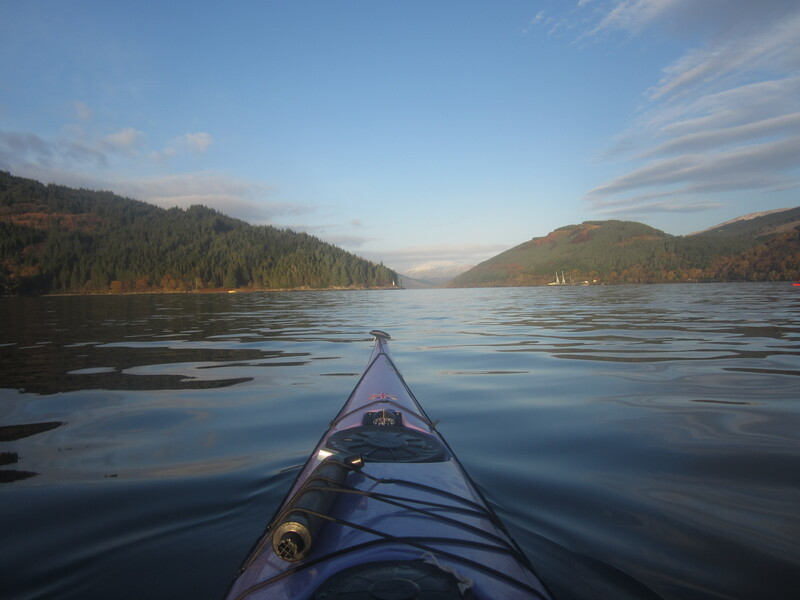 The paddle back with the breeze was much faster than expected and as we were crossing Loch Long we suddenly decided to make an inspection visit to the MBA bothy at Mark. We were welcomed by two bothiers and a lovely fire. The bothy was in excellent condition. 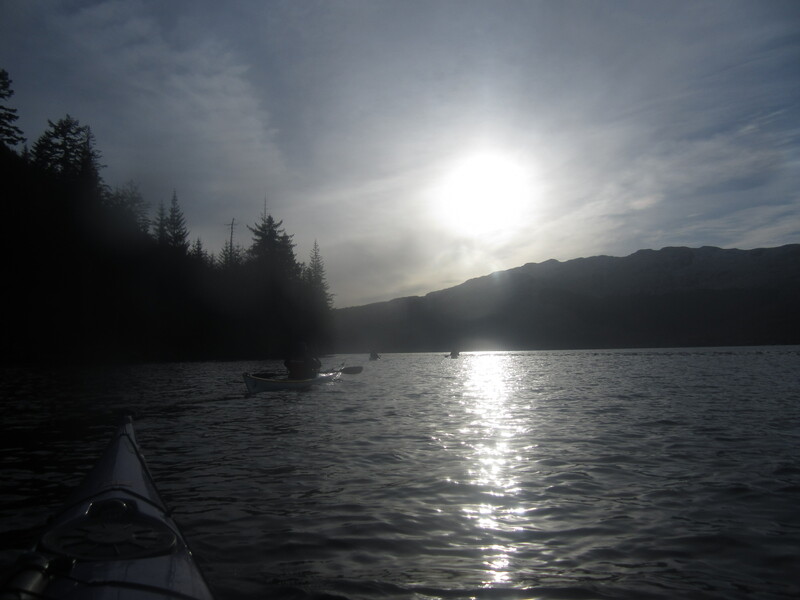 We left the bothy just after 2.30 for the 10 minute paddle across to Finnart and the cars. An excellent day.